Two beavers walk into a store. No, this is not a joke. 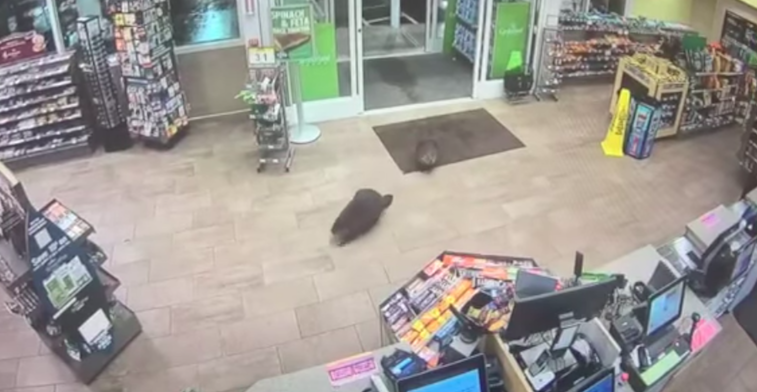 A pair of not-so-busy beavers on a break from dam-building were caught on video rolling into a Massachusetts convenience store. The buck-toothed browsers walked through two sets of automatic doors and straight into a Cumberland Farms store in Fitchburg. 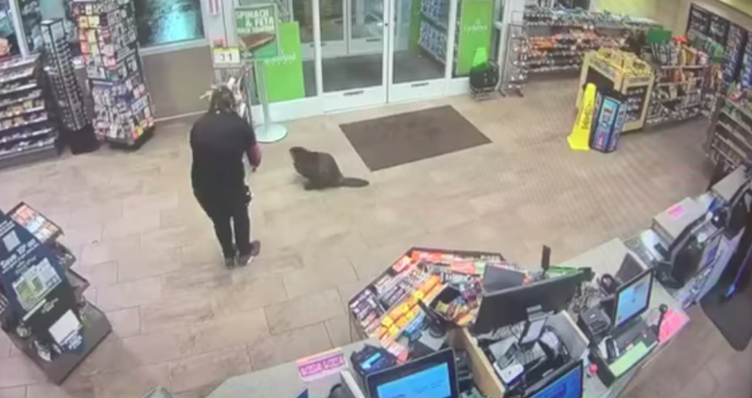 Surveillance footage, posted to the store’s Facebook page, showed the giant rodents wandering into the shop one very early morning last week. The encounter has been watched more than 450,000 times. “Over the river and through the woods, to the Fitchburg, MA Cumbys we go! ,” the company posted, taking it all in stride. One beaver turned tail and left almost a quickly as it entered, while the second meandered around the store. A clerk snapped photos of the furry shopper. Meanwhile, the other animal waited in the parking lot. “It’s the buddy system,” the store said. And yes, both animals safely left the store and head home.